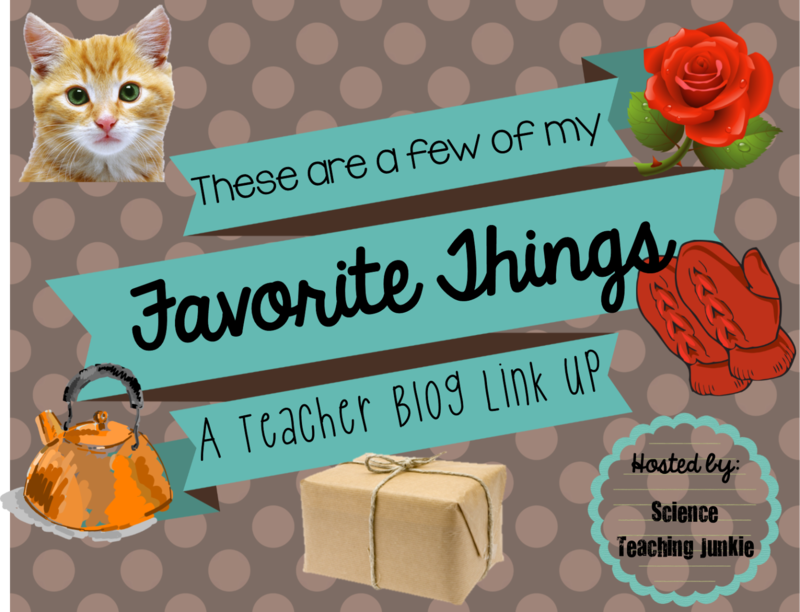 To get the ball rolling, here are my Top 10 Classroom Faves (in no particular order)! 1.) 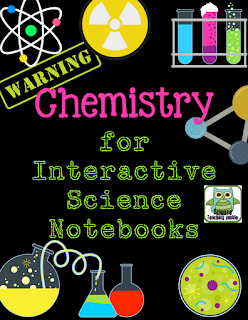 Interactive Science Notebooks: I use these DAILY! I started using them several years ago and it was a little rocky at first. Now, I feel like I've perfected them in my science classroom. In addition, I've gotten the 6th and 7th grade science teachers "on board", so by the time they get to me in 8th grade, they are almost pros themselves. I've started modifying almost everything to go into the notebooks. You can check out my Interactive Science Notebook products on Teachers Pay Teachers HERE. I've also written a few blog posts about them HERE. 2.) 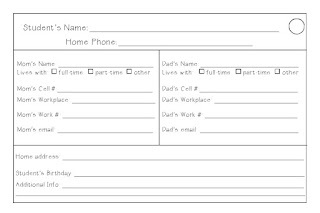 Parent Contact Cards: In the summer I print these out on 4"x6" notecards and pass them out at the beginning of the year. My middle schoolers take them home for their parents to fill out (I even have a Spanish version). The kiddos return them and I keep them together in alphabetical order, by class, with a binder ring. They are hanging on magnetic hooks behind my desk. 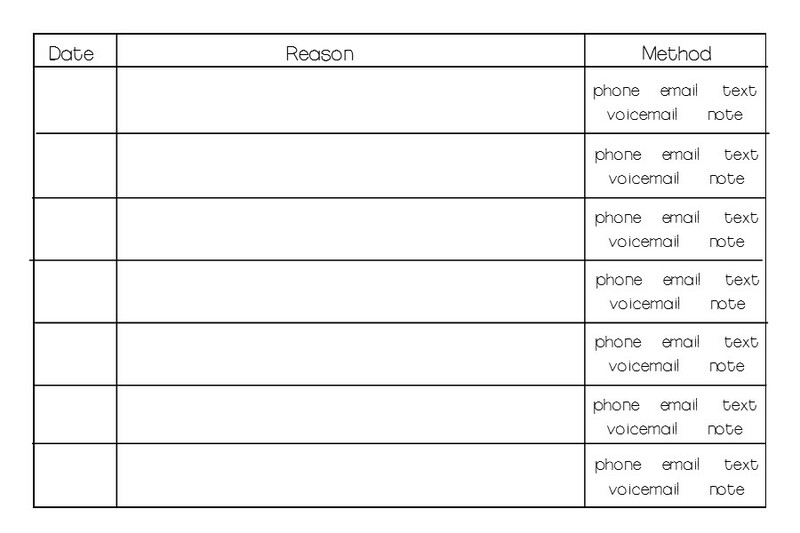 I can quickly access a parent phone number or email address. 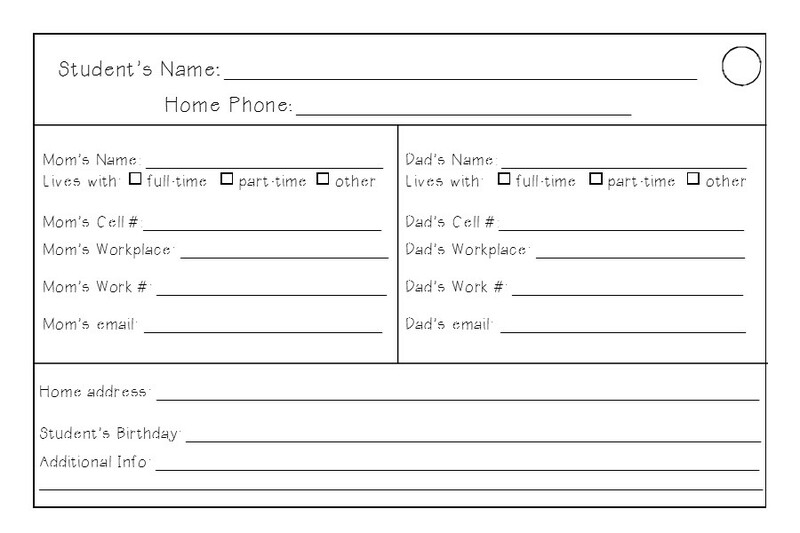 It also has a place on the back of each card to quickly jot down the date that parent contact was made and the method used. This is the only method that has worked for me in my 13 years of teaching. In order for things like this to work for me, I need them to be easy and quick. You can find them HERE on my Teachers Pay Teachers site. 3.) While You Were Absent Forms: Next to my desk, I have a hanging file folder. I use one pocket for each of my 6 classes. 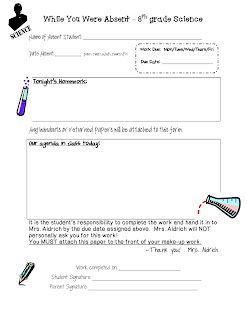 When a student is absent, I immediately fill out one of these "While You Were Absent" forms and attach any handouts or items that were needed for that days lesson. (on days when I'm really busy, I wait until my conference period to do this or give this job to one of my "early finishers"). 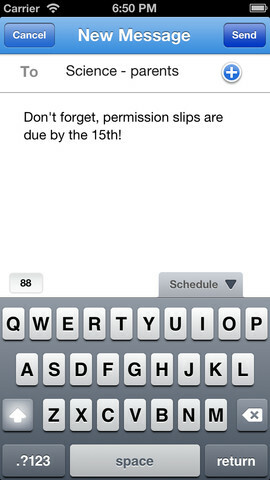 I write the absent student's name on it and file it in the correct class period folder. When the student returns the next day, he/she picks up this work and brings it to me to assign a due date and go over any important information. 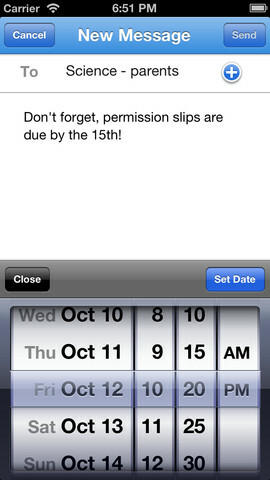 The student is responsible for keeping up with the "While You Were Absent" yellow cover sheet and any work that is due. With so many students being absent and work coming in at different times, I had to find a method that worked for me and was easy to keep track of. 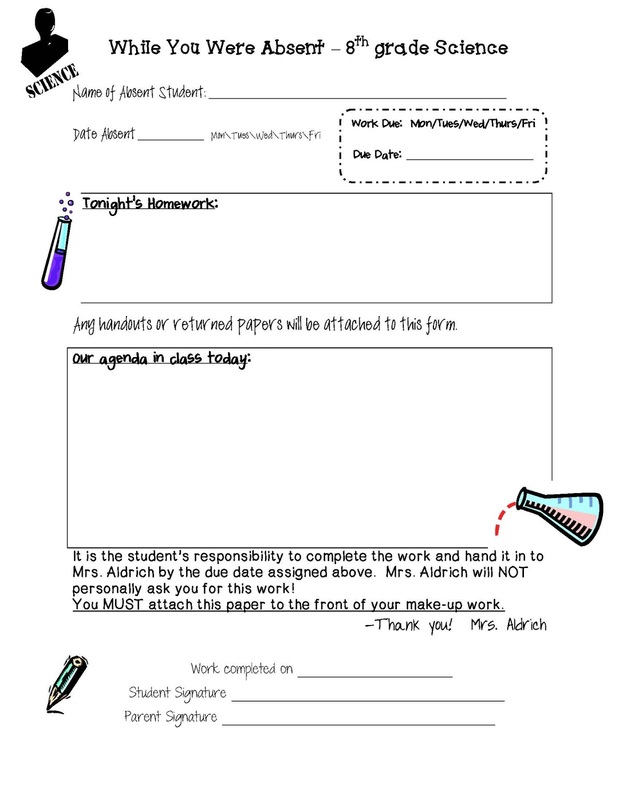 CLICK HERE for my editable While You Were Absent Forms. I can schedule a reminder to go out at a later date and/or time (I can set up my reminder texts at the beginning of the week and then not worry about it during the busy school week). The night before a test or quiz, I may send out a few review questions or extra hints on things they need to study. 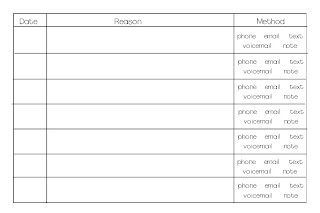 My students' parents have even told me that it gives them some topics to discuss at the dinner table. 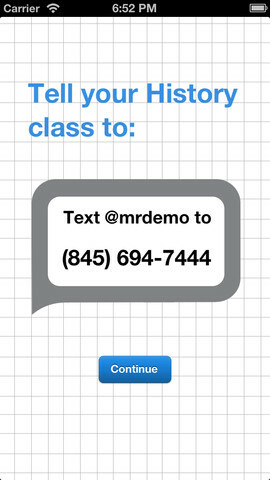 What an awesome, easy way to get parents involved in what is going on in your classroom. 5.) My Teacher Planner: One word: LIFESAVER. 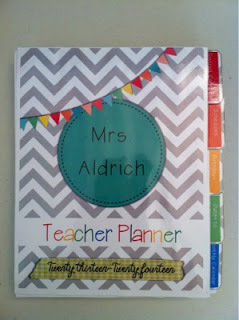 I started making my own Teacher Planner last year and I don't know how I survived without it for so many years. No longer do I have to carry around multiple binders or show up to a meeting unprepared...everything I need is in one place. I take it to faculty meetings, team meetings, collaborative planning meetings, home, literally everywhere. It has all of the calendars that I use (district, monthly 2-page spread, birthday, important dates, etc...), my bell schedules, state standards, lesson plans, class rosters, student checklists, seating charts, IEP checklist, and so much more. 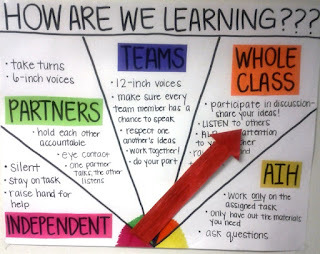 Check it out HERE on my Teachers Pay Teachers site. 6.) 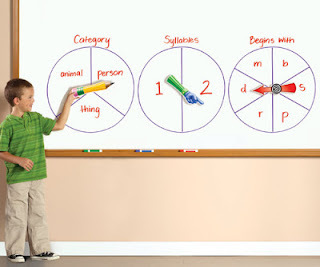 Spinzone Magnetic Whiteboard Spinners: This is priced for around $17 and includes 3 different magnetic spinners. 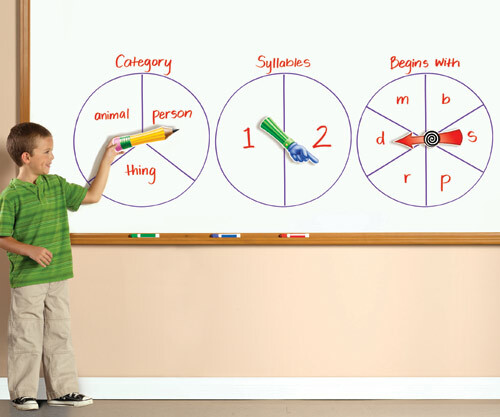 I use these on my magnetic whiteboards to select partners (I use clock partners or Cell Pals). This year I am also going to use it to point to the method of learning for the day (many of you may have seen this idea on Pinterest). I can think of so many other things to do with these. For example, in 8th grade science, the students must be able to manipulate an equation with 3 different variables to solve for the unknown. Like speed = distance/time or Force = mass x acceleration, etc... Instead of the typical worksheet with practice problems, my 8th grade students could have 3 different spinners on the board. Two different students could spin 2 of the spinners (the distance spinner and the time spinner) and the class could solve for the unknown variable (speed). 7.) My Color-Coded Classroom: Everything in my classroom is color-coded. I teach 6 sections of science each day so I chose to use the 6 basic colors of red, orange, yellow, green, blue and purple. Calloway House has many great classroom organizational items that already come in these 6 colors. I also made some Editable Rainbow Classroom Labels in these 6 basic colors that can be used for just about anything in your classroom. 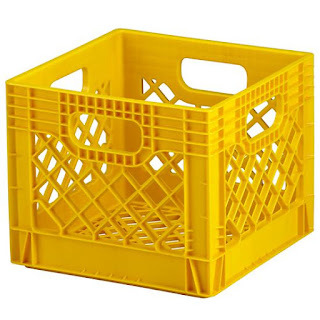 My students keep their Interactive Science Notebooks in colored milk crates. I use binder rings to clip a class period label to the front of each crate (just in case the color wasn't clue enough). I found these magnetic pockets at the Dollar Store. They were a yucky grey color, so I spray painted them with the 6 colors. Now they look great and I use them as a place for my students to place their Exit Tickets on their way out the door. 8.) Birthday Pixy Stix: I know that I teach middle school, but who doesn't like to feel special on their birthday? Not many teachers at my school do anything for student birthdays, and I know it's not much, but I like to be able to hand them a small gift on their special day. I purchased the container at Wal-Mart for about $4 in the clearance section. I spray painted it and tied A LOT of ribbons on the handles just to make it look more festive. This is one of my summer projects that I like to get done while vegging in front of the TV. I print the balloons on colored cardstock and cut them out while catching up on my Real Housewives, The Bachelorette and Big Brother episodes (I can't believe I admitted to the trash TV I watch!). I order the candy in bulk online and start glue gunning (not sure that's a word?) these puppies. For a 10% discount on candy from Candy Galaxy, click HERE. 9.) Clipart by Maree Truelove: Not much more to say, other than I love her stuff. Check out her products on Etsy HERE or her blog HERE. 10.) Tap and Glue Caps: I have these on every bottle of glue in my classroom. I hate using glue sticks for the Interactive Science Notebooks, but my only complaints about the liquid glue are that the kids use WAY too much and they sometimes carelessly throw it in a drawer when it's open and we have a lovely mess to clean up the next time the drawer is opened. 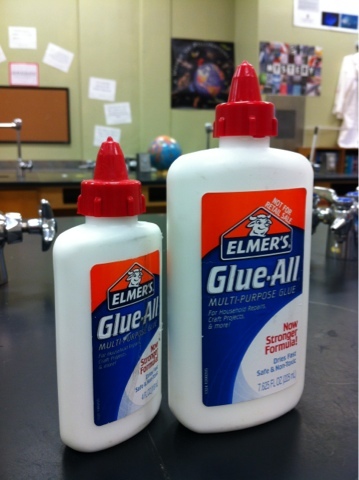 These glue caps have taken all of that away. They make me a very happy teacher. To me, they were totally worth the investment. I ordered mine from School Specialty HERE. 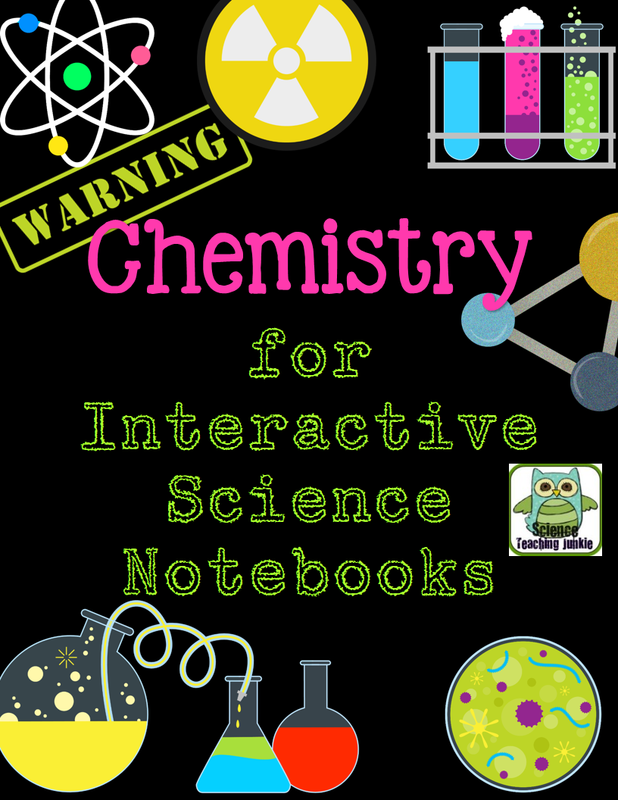 I really like the interactive science notebooks! I am currently in college for teaching and we actually did this in one of our reading classes! It is a great way for students to take notes in their own style and it could increase their studying habits because their notes are fun and creative.